Not only is the Physician’s Formula Murumuru Butter Bronzer ($19.99/11g) mighty expensive for a product from a drugstore brand, its marketing is so gimmicky that any skeptic would pass by this product, deeming it all unfounded claims and minimal results. With these marks against it, the bronzer somehow managed to majorly impress me. And not just in that it’s-sort-of-kind-of-nice sort of way; I must say that it competes with my favourite bronzers. Before I get into the part where I gush about my love for the bronzer, let’s get to the drawbacks that it has. There are only two shades that it comes in and I grabbed Bronzer, the darker of the two because it wasn’t all that much darker than the lighter offering and had those golden brown undertones that I tend to prefer. If you have medium to dark skin, I would say that you are likely out of luck with the range, as this one is maybe on the lighter side of medium. Physician’s Formula makes a big deal about their ingredients but I do note that the first couple of ingredients include talc and mica which are two minerals that people tend to have sensitivities to. Also they market the bronzer as being oil free on a technicality, instead they contain the butters which are essentially solidified versions of the oils themselves. The butters themselves do appear impressively high on the ingredient list, however, I must note that they will not improve the quality of the skin in the way that skincare products do – and Physician’s Formula argues that they do. My one last complaint is that fragrance appears so high on the ingredients list, especially of a product that boasts being superbly gentle on the skin. Note: The fragrance complaint is there but some will find the coconut scent incredibly pleasant and summery, especially in combination with the colourful packaging. Just as Physicians Formula markets the bronzer to do, it applies with this creamy bendable texture that feels like a cream-powder hybrid – with the ease and practicality of a powder and the seamless finish and glow of a cream. Somehow it does manage to give that “lit from within tropical glow”, as cliched as it sounds. Because of the butters I assume, the formula is creamy and radiant but it reads as skin-like because the finish is satin-y without any noticeable shimmer. The pigmentation is medium but build able which makes it effortless to use even on my winter-pale complexion. I love its versatility for adding some warmth to the face in general and sculpting in smaller, more specific areas. On fairer skin, I think this bronzer will pleasantly surprise with its ability to add that sun kissed element without reading as orange-y in the slightest. For me, it’s highlight is that it lasts and lasts on the skin while adding that seamless glow to the skin. It doesn’t cling to dry patches or uneven texture in the slightest. In terms of colour-comparison, I would be tempted to compare it to NARS Laguna because of its depth and golden brown undertones – but I haven’t examined them closely or anything. Have you tried the Physician’s Formula Bronzers? What are your favourite posts to read/write? I have seen the allure of the monthly (or seasonally where this one is concerned) allure of these beauty boxes but I’ve always been determined that they were not for me on account of their high cost and no guarantee of what products you would receive; in other words, I thought I was too much of a control freak in order to fork over the money for unknown products, regardless of the value. Somehow, though, I decided to try out the seasonal Luxe Box by Loose Button seasonal subscription box back in August, after hearing about how it shipped for free, was less of an investment and focused on higher end products, and I haven’t looked back since. I’ve been really impressed with the two boxes that I’ve received, as they have interesting products and contain enough quantity for me to be willing to fork over the cash. It costs $24-$26 CDN per box, depending on the subscription and unfortunately is only available in Canada. Benefit Cosmetics They’re Real Tinted Primer ($31/ 3g) [$10.33]: I was not exactly expecting to adore this lash primer, as I am not a lover of the mascara formula of the same name – and not loving the They’re Real Mascara was my hesitation about going with the switching out of four products for ones from Benefit option that I ultimately ended up going for. 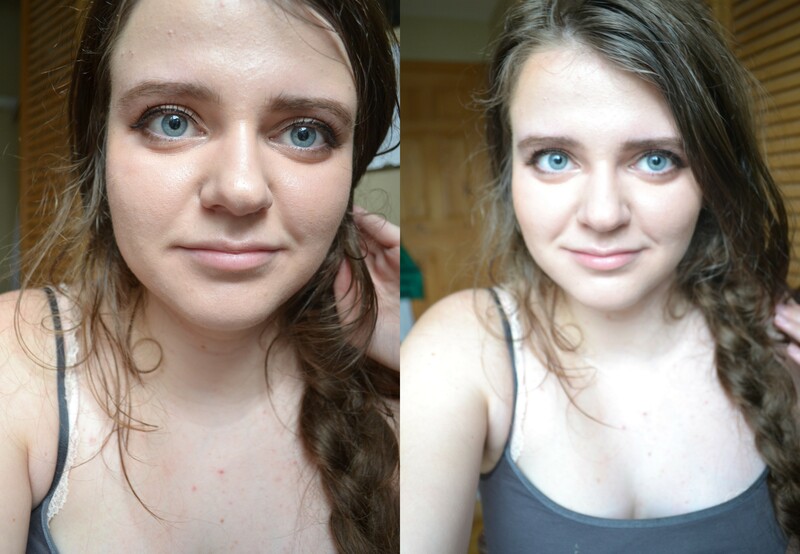 However, I found myself very impressed by this brown-tinted mascara primer. It functions as a nice volumizing and separating mascara on its own, even without any mascara on top, and layers to create dramatic lashes, all while being not as impossible to remove as its namesake mascara. What I love is that it feels lightweight on the lashes, yet covers all the bases. Benefit Roller Lash Mascara ($31/8.5 g) [$16]: I’ve heard all kinds of fabulous things about Benefit’s latest mascara release, however, I was hesitant to go out on a limb and try it for two main reasons: namely that I’m skeptical of higher end mascaras in general and that I’m even more skeptical of Benefit’s mascaras, especially those with rubber wands. I will say that it is worthy of all the hype because of the curl it provides the lashes, moderate separation and thickness it provides, and most of all because of the otherworldly length that it provides. I do enjoy that it’s less hellish to remove. Benefit They’re Real Mascara ($31/8.5 g) [$16]: I might have been a wee bit disappointed to receive the popular and impossible-to-remove Benefit mascara but now that I think about it and have the lash primer of the same line to try, I am somewhat excited to give it a go again. It does give nice lengthened and volumized lashes but my issue with this is just how difficult it is to remove. Benefit They’re Real Remover ($22/ 50 mL): The unquantifiable foil sample of Benefit’s makeup remover designed for their mascara did kind of make sense given the theme of Benefit products, however, it was my biggest disappointment with the box. Foil samples are always messy to use and the product quickly deteriorates for one, but most importantly, I’m really fussy about the products I use to remove eye makeup from my sensitive lids, and this is not the kind that I would even try. The amount of product is also very tiny. Philosophy Hope in a Jar ($54/ 60 mL) [$54]: This product was unlisted on my card, so I presume that this is the bonus full-sized product that that extra $10 optional charge paid for, and I was impressed as it was a cult-favourite moisturizer that I had always been curious about, in a full size. It’s a cosmetically elegant moisturizer housed in attractive jar packaging but from my experience, I now know that it does not compare to my favourites, nor does it have a scent that I can stomach – it has a super strong herbal scent that does not seem to go away over time. I have been pleased to try it and I’ve been even more pleased that they seem to listen to my product preferences in my profile before sending out products. Star Looks Luxe Longer Eye Liner Pen ($19/ 10 mL) [$19]: I did not have high expectations for this brand, for some odd reason, but I was actually quite impressed with this liquid pen liner because it’s easy to use and doesn’t skip. My only complaint is that it is not an intense black shade, but I have been using it happily lately. Teez Trend Cosmetics Read My Lips Lipstick in Roulette Red ($28.94/ 2g) [$28.94]: It’s nothing particularly unique or life-changing of any sort, but I have worn this deep muted plum-toned red lipstick and do quite like it. The formula is comfortable but did last on the lips and I found the muted quality of the shade flattering. What are your thoughts on beauty boxes? Maggie, x. 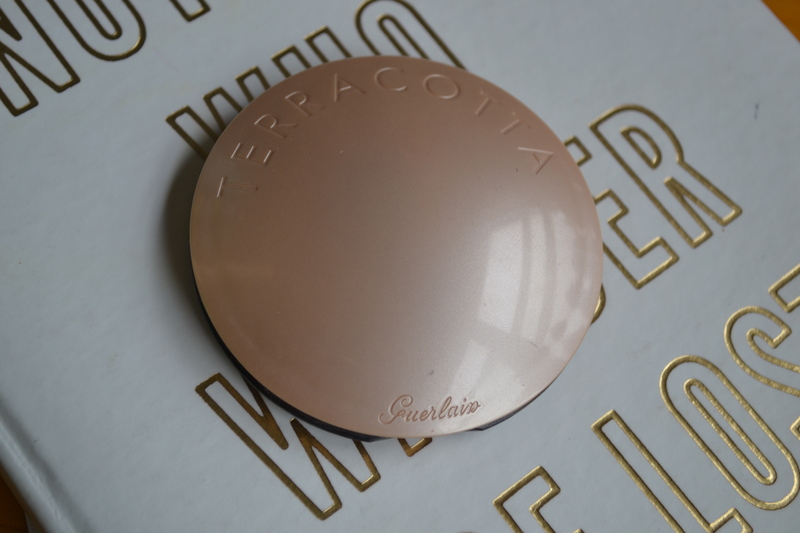 This statement should essentially speak for itself: I have no qualms about saying that Guerlain Terracotta Joli Teint Powder Duo in 01 Clair – Brunettes ($60) is the best bronzer I’ve ever tried and I love it so much that I would easily use it every day without the smallest sign of regret and zero ounces of boredom. 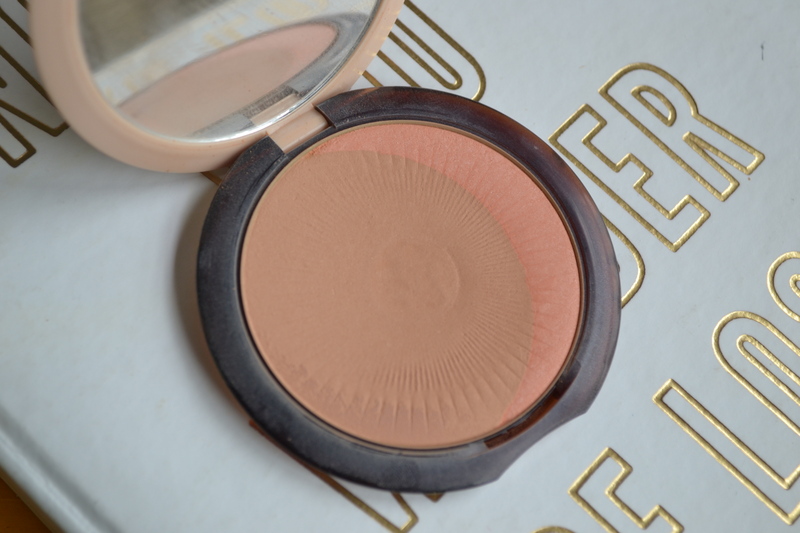 If you’re a regular reader of my blog, you would already be aware of how much I love this sheerer bronzer, based on the number of times I’ve raved about it in favourites posts and the like – but if not, here’s a clue. This ‘healthy glow bronzing powder’ is unfortunately limited edition, so if you’re interested I would suggest acting fast. What differentiates these powders from Guerlain’s other myriad of bronzing formulas is that they consist of two different shades and focus on imparting the skin with a sunkissed radiance rather than an obviously bronzed effect. Guerlain asserts that these powders leave the skin comfortable and with a soft satin finish that achieves the glowing effect without obvious shimmer or sheen. The crescent of blush in the compact is also designed to revitalize the complexion, in addition to the bronzing hue adding that subtle glow. The most shocking thing is that Guerlain actually achieves its claims here. The powder itself blends seamlessly with the skin, adding an effortless golden glow with the traditional bronzing shade and a hint of brightness with the crescent of peachy-coral colour. The powders feel indulgent to the touch and are the smoothest and most finely-milled that I’ve come across, imparting the skin with this perfect ethereal glow that doesn’t seem to fade or become patchy even after 10-12 hours. As Guerlain claims, the two shades have a soft glowing satin finish without any semblance of shimmer particles. I will warn you that the powder swatches pathetically in comparison to how it applies – especially in terms of pigmentation. I do assure you that it is far less sheer than the swatches might suggest. 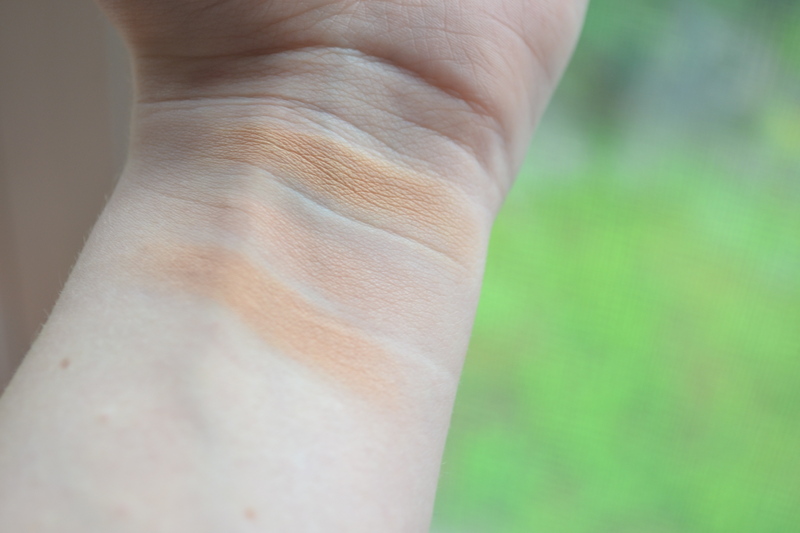 The bronzing portion is a yellow-based warm-toned shade that doesn’t read orange in the slightest and the blush crescent is a soft coral with a peachy lean to it. Also, I find myself reaching for the blush crescent individually so this whole fusion of the two shades is not overly gimmicky in my experience. It’s housed in gorgeous compact two-toned packaging but does house a great deal of product (0.35 ounces to be exact). It’s definitely a sleek looking compact that has a nice sturdy closure and a practical mirror. I kind of adore how this tan and brown compact is both practical and undeniably luxe. There are three possible complaints one could make about this bronzing duo, however; there’s a strong (but pleasant) musky fragrance to this powder that does not dissipate particularly quickly, it is an investment purchase and that the four shades cater to those with fairer skintones pretty exclusively.